So remember last year how I was losing my mind over directing a bunch of kids in Aladdin? Well we've started up again. I love Wednesday's because I get to go spend time with those kids. Even though they are a little crazy (ok a lot) they are always excited to participate and be acting. This year...we're doing Annie. I might regret that, we'll see how it goes. Today, I'm bouncing back to the current nail shape. I couldn't wait to wear Beyond the Nail Voodoo* and show it to you all. This is the perfect crelly glitter combo for Halloween. It's a white base filled with small black circle glitters and medium orange hexes. 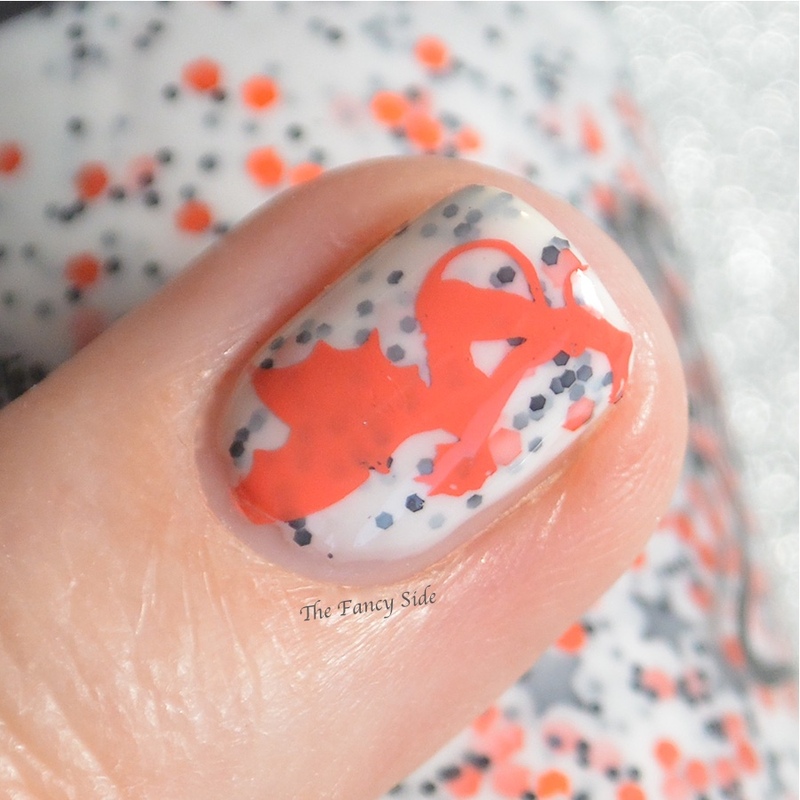 Because this is a Halloween polish and I can't help myself, I added a devil stamp from MyOnlineShop Jr-22 and drips from Uber Chic Halloween-01 in Mundo de Unas Tulip. 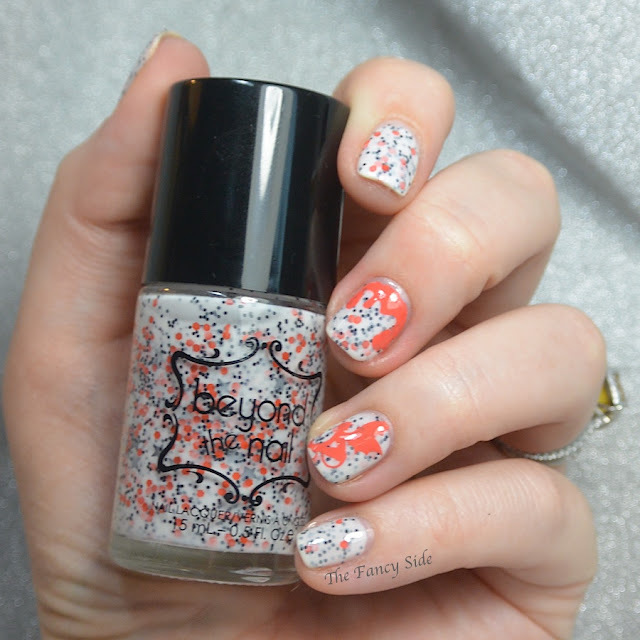 Tulip is a perfect match for the orange glitters. Here's a straight swatch, so you can see Voodoo in all it's glory. I can't love this one enough. I kind of wished I'd used a matte topcoat on these. What are your favorite Halloween polishes lately? I'm a sucker for white crellies and all things Halloween, this one is awesome!! This is such a cute polish! Cute mani! I always like the look of matte crelly glitters yet I always forget to matte them when I wear them. Right? It would look great Matte, but I just forget. I can't get over how awesome that stamping is over the base glitter polish! What a great Halloween polish! I am a sucker for just a plain black mani during this season! Plain black is great for the season. I love a good white crelly! This is lovely.